Close your eyes for a minute and imagine floating over lush green fields and deep blue waters, with the wind rushing past, as you enjoy a bird’s eye view of Goa. Beautiful, isn’t it? Words don’t do justice to the thrill and excitement of this hot air balloon ride that you can experience in Goa. Don’t make your holiday to start on a stressful and tiring note, hence we decided not to drive down, and instead booked flight tickets The hotel arranged for an airport transfer and after the welcome drink and introductions, we headed out to Candolim Beach for an authentic Goan lunch. A sumptuous meal by the beach started off our vacation on an upswing note. The evening was spent walking around the gorgeous Fort Aguada. A hot air balloon ride has got to be the ultimate sky adventure sport one could undertake in a lifetime. Before we took off, we watched the balloon being prepared for the flight as we received a brief on safety. Once the balloon was ready, we set off on a ride of a lifetime! Fluffy white clouds above, deep blue waters underneath, golden beaches sparkling in the distance, and adrenaline flowing through your body; this larger than life experience will remain etched in your mind forever. 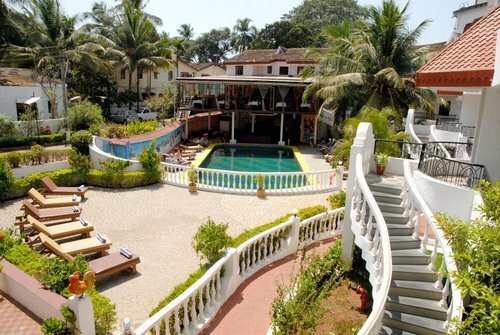 You will definitely enjoy the bird’s eye view of Goa for an hour and also witnessed a mesmerizing sunset. Spend your next day relaxing and enjoying the cool vibe of Anjuna Beach and Vagator Beach, and returned to the room late in the night. The airport transfer was arranged once again, but saying goodbye to this experience was difficult. When you plan your holiday at Goa must book your hot air balloon trip with best Goa beach hotel. The hotel will definitely arrange the best entertainment for you.